Hard Dash is a skater for Maine Roller Derby. She’s a jammer for Maine’s all stars and skates for the Calamity Janes (home team), Team Maine and Team Massachusetts. She is also the chair of the WFTDA’s TV Programming Committee and a member of a grievance panel for the WFTDA. Before that, she skated for Rose City Rollers in Portland, Oregon on the travel team and for the Heartless Heathers (home team – por vida). 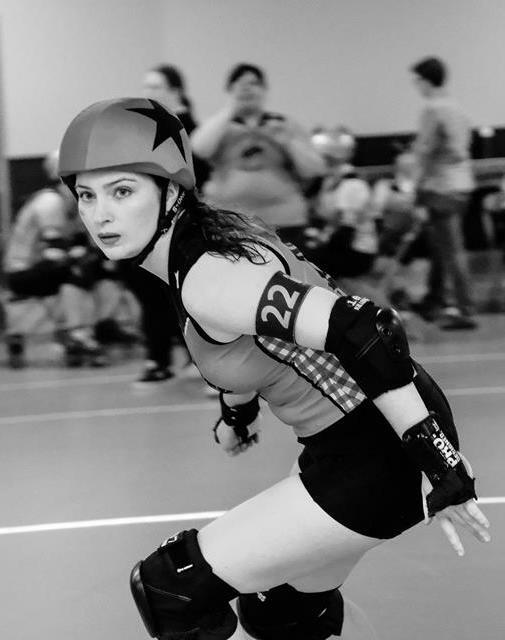 She founded Rock Coast Rollers in Rockland, Maine in January 2011 before heading West in 2012, then back East in 2014. You can email Dash if you are not mean. HSteeves at gmail.